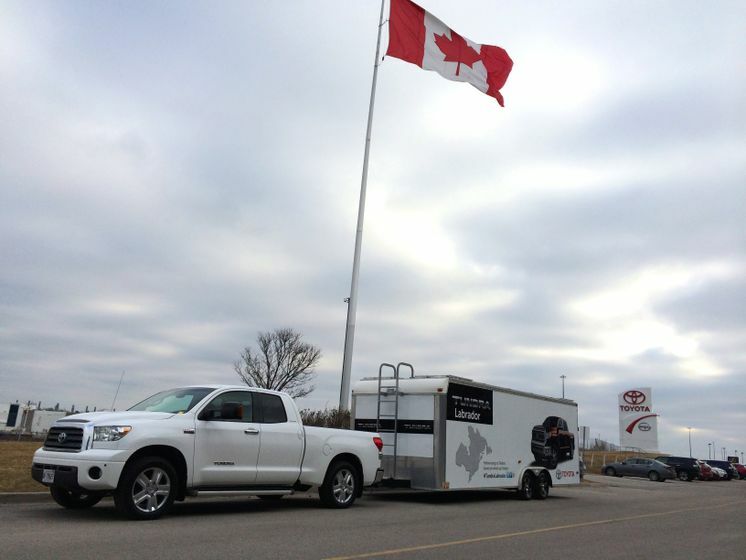 (Toronto, ON - April 2, 2014) Toyota’s truck history is more than 80 years rich, and Toyota trucks have endured the most challenging terrain and weather conditions around the world for just as long. The Toyota Tundra is the latest example of this kind of endurance: built, designed and engineered in North America, it has even towed the 300,000 lb space shuttle Endeavour. 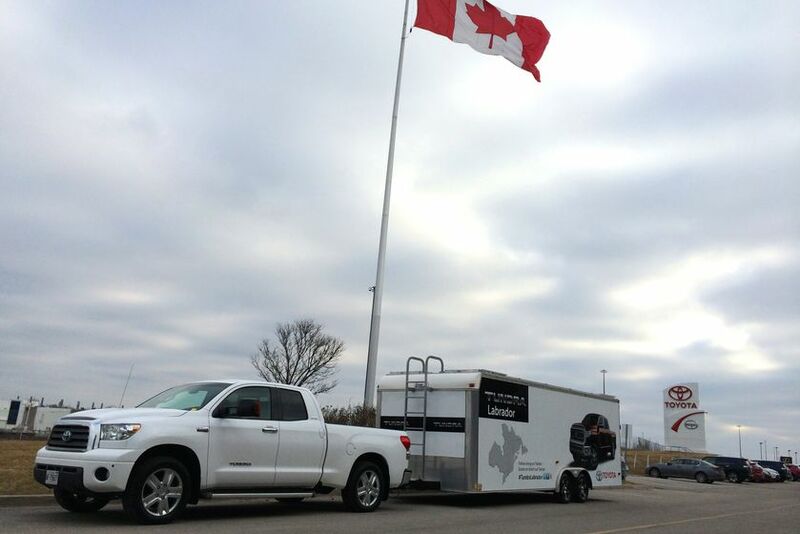 And starting today, the redesigned 2014 Tundra along with a 2007 Tundra will take on one of the most challenging journeys yet: the Trans-Labrador Highway. Two Canadian automotive journalists were challenged to drive one of the most extreme roads to put the Tundra to the test, so they decided that one of the best examples of that is the Trans-Labrador Highway. Running from the Québec-Labrador boundary through to Goose Bay, NF, the last section of the Trans-Labrador Highway was only completed in 2010. With mile after mile of dense wilderness, few road services and communities, the 549 km stretch of highway is truly isolated. And this time of year road travelers are warned of extreme road weather conditions. So is the Tundra up to this challenging epic journey? With a stunning, bold and chiselled new design inside and out, a proven 5.7-litre DOHC i-Force V8 that generates 381 horsepower at 5,600 rpm and 401 ft-lbs of torque at 3,600 rpm, the 2014 Toyota Tundra full size pickup is ready to take on the Trans-Labrador Highway. And as if that wasn’t enough, Elmer and Descarries, plus their 2 crew will also travel with a 2007 Toyota Tundra Double Cab 5.7L with over 100,000 km ready to test the long term quality, durability and reliability of the Toyota Tundra. From towing, to payloading over treacherous icy roads, the trucks and crew have 9 days to travel from Toronto to Corner Brook, Newfoundland. "Here is a unique opportunity to go through an extreme adventure on wheels in one of the world's lesser-known wild frontiers,” said Éric Descarries, Québec-based truck writer and NASCAR expert. For more information about the 2014 Toyota Tundra, visit Toyota.ca/tundra.